I hope you had a great weekend. Please be sure to visit my post from Saturday. Our Pazzles design team had a blog hop and you can still enter to win a $30 gift certificate from Pazzles. So now on to my card for today. Here’s a view of my completed card. The finished size measures 5 x 6.5. The base is a kraft cardstock base. I then cut a white mat 1/8th smaller and then a teal mat 1/4” smaller than the base. I used my cuttlebug holly and berries embossing mat to emboss the teal mat. I also inked the edges of the mat with my Juniper Ink Pad. The patterned chevron paper is from the DCWV Winter in the Woods Stack. The sentiment and angel are from the CTMH Hostess rewards stamp set Sing Glory. 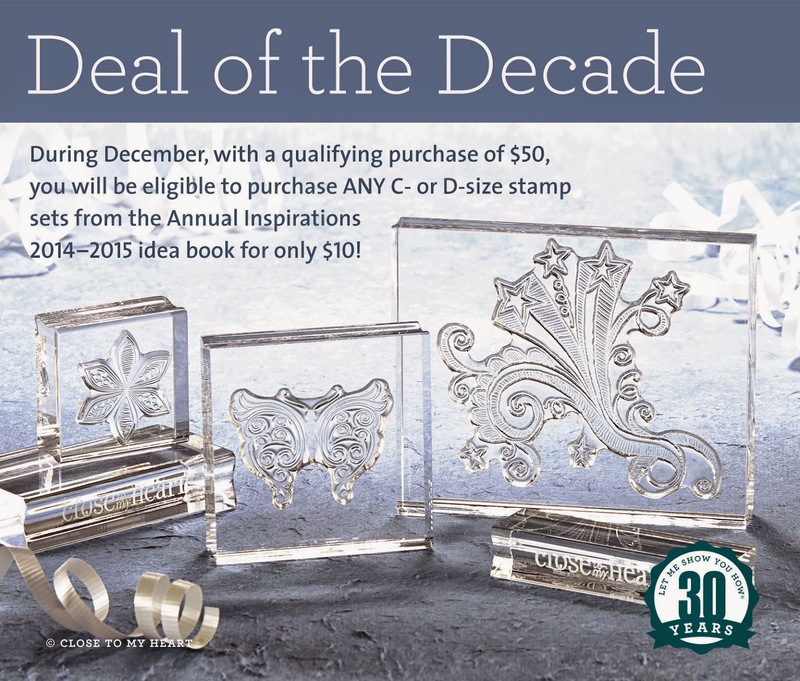 Please feel free to email me if you would like to setup an online party to earn this gorgeous stamp set! I created a video showing how I put this pretty card together. So grab a cup of cheer and join me on YouTube to check it out. Be sure to subscribe to my YouTube channel as well! Here’s a closer look at the beautiful angel. I created an SVG cut to go around the stamped image. I then stamped the angel using my versamarker ink pad and then some embossing powder to heat emboss the angel image. Here’s an angled view to show the lift of the layers from the foam tape. Another view of the pretty stamped sentiment. Here’s a closer look at the pretty bow. I made it out of ribbon from May Arts. The center is a gem from the CTMH assorted gems package. In this shot you can also see where I used my Champagne Stickles to add some little dots to the lattice panels. 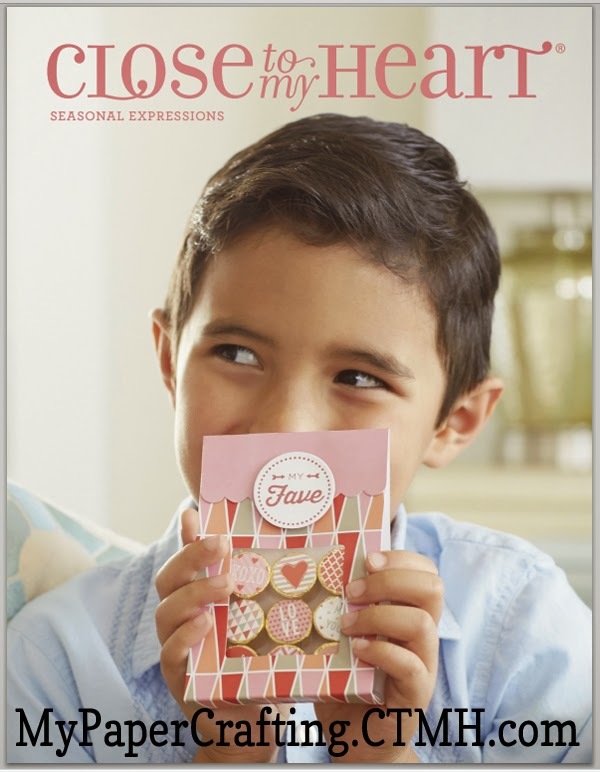 And don't forget to check out all the crafty goodness in the new Seasonal Expressions Catalog!! !